Practicing mindfulness is quickly gaining popularity in America. Based on Buddhist principles, being mindful is living in the moment and fully experiencing external sensations as well as your emotions and internal thoughts. While practicing mindfulness can be challenging for a child, an aspect of it, opening up your senses, is a tool that parents can use to introduce their child to new things. Kids can be very picky eaters. Every parent knows the difficulty of trying to get their child to try new foods. A lot of children won't stray too far from chicken tenders and french fries. This can make ensuring that they are receiving the proper nutrients difficult. As a parent you want your child's diet to be made up of a nice variety of natural and whole foods. The body needs a lot of different nutrients, and the best way to get them is from a well balanced diet. So, how do you get your picky eater to try new things? This is where one of the principles of mindfulness comes in. When practicing mindfulness, you focus on the senses and fully experience everything you see, hear, touch, smell and taste. Observe these things without judgement. So, it's simply "This is sour," not "I don't like this." You can use this idea to your advantage a few different ways. 1 - Next time you are in the produce section of the grocery store, invite your child to join you in selecting different kinds of produce. Grab a fruit or vegetable that they have never had before or that they won't try. Together, make observations about the food. Feel the texture of its skin or its leaves. Listen for the sound it makes when you rub it, shake it, or thump it. Look at its bright colors or odd shape. And don't be afraid to give it a good smell. Take turns describing what you are experiencing. After exciting these four senses, your child is more likely to have an interest in discovering that fifth sense of taste. 2 - While preparing a meal, invite your child to join you. As the two of you prepare the meal, take time to observe and enjoy the way your senses are involved. Listen to the sound of a sauce simmering or carrots being chopped. Look at how beautiful a salad is or how artistic a plate presentation can be. Notice how wonderful the kitchen begins to smell. Feel the sensation of cutting through a bell pepper (under close adult supervision, if you feel like your child can handle it) or of grabbing a handful of rice before it's cooked. Taste the ingredients you use, and see how the flavors change as you add different things. Getting children's senses involved like this and making them a part of the cooking process will make them much more excited to try new things. 3 - Make mindfulness a game. Have your child taste and smell a spice or herb you are going to use in one of the parts of the meal. Then, see if he can tell which part of the meal you used it in. Or have your child taste the different ingredients you are using, and see if they can determine whether the ingredient is sweet, sour, bitter, or salty (or umami, if you're up for the challenge). Play a guessing game by blindfolding your child and letting them touch, smell, hear, and taste a fruit or vegetable. Then, see if they can guess what it is. Whether mindfulness is something you practice in all aspects of your life or not, the principle of opening up the senses is a useful tool when it comes to exploring new and unusual foods. When you introduce your child to the way different foods affect the senses, you spark their curiosity. This curiosity can lead to a desire to try new things, and will make eating a more enjoyable experience. 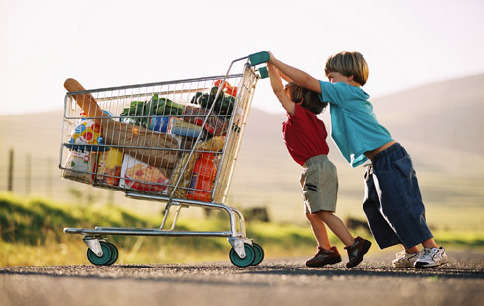 The more a child enjoys eating a variety of foods, the healthier that child will be. Boston, MA —From stitching up a cut to bypassing a coronary artery, most operations aren't possible without anesthesia. It is designed to keep you comfortable during a procedure that otherwise might be hard to tolerate physically, emotionally, or both. There are many types of anesthetic available, and the type chosen can affect your recovery. While doctors make some of the decisions about which type of anesthetic to use, patients often have a say, too, according to the June 2015 Harvard Women's Health Watch. "Anesthesiologists have four goals: to see that you have no pain, that you're drowsy or unconscious, that your body is still so that the surgeon can work on it, and that you aren't left with bad memories of the procedure," says Dr. Kristin Schreiber, an anesthesiologist at Harvard-affiliated Brigham and Women's Hospital. · Local anesthesia. Anesthetic medication is injected near the area to be treated. Its effect is limited to a fairly small area. · Regional anesthesia. Anesthetic medication is injected near clusters of nerves to numb a larger area, or region, of the body. · Neuraxial anesthesia. Anesthetic medication is injected near the spinal roots, numbing an even larger part of the body than regional anesthesia. Epidural and spinal anesthesia are included in this category. · General anesthesia. A combination of intravenous and inhaled drugs brings on unconsciousness and the inability to feel pain. Regional and neuraxial anesthesia can also induce different levels of sedation. Minimal sedation means being relaxed but aware of what's going on. Moderate sedation causes a "twilight sleep" — drifting in and out of consciousness, but able to easily be aroused. Deep sedation is similar to the effects of general anesthesia — being fast asleep and unlikely to remember anything. Read the full-length article: "What you should know about anesthesia"
When is a fainting spell worrisome? Harvard Women's Health Watch is available from Harvard Health Publications, the consumer publishing division of Harvard Medical School, for $20 per year. Subscribe at www.health.harvard.edu/newsletters/womens or by calling 877-649-9457 (toll-free). Paris (France), Copenhagen (Denmark) - Onxeo S.A. (Euronext Paris, NASDAQ Copenhagen: ONXEO), an innovative company specializing in the development of orphan oncology drugs, today announced the allowance by the US Patent and Trademark Office (USPTO) of a patent covering its product Validive® until September 2029. Validive® is based on Onxeo's mucoadhesive technology Lauriad® and has obtained positive Phase II results last year in the prevention of severe oral mucositis in patients treated for head and neck cancer. This allowed US patent claims a new use of clonidine, the active principle of Validive®, in the treatment of oral mucositis. Moreover, this treatment with clonidine formulated in Onxeo's mucoadhesive technology Lauriad® is also covered by the patent. After significant countries in Asia, this allowance from the USPTO strengthens significantly the patent protection of Validive® and its value. Oral mucositis is a radio/chemotherapy related condition occurring very frequently in patients undergoing head and neck cancer treatment. With no curative or preventive treatment currently, oral mucositis represents a serious unmet medical need for the patients. The incidence of head and neck cancer in the US is estimated to expand from 55,000 cases in 2015 to 68,000 in 2029, an attractive market of about $ 350-400 million. "The new US patent protection is a key strength reinforcing the product's potential, while also reflecting and acknowledging the innovation represented by Validive®, a product formulated with our Lauriad® mucoadhesive technology", comments Judith Greciet, CEO of Onxeo. Oral mucositis is a particularly invalidating pathology induced by radio/chemotherapy treatments and very frequent in patients with head and neck cancer. It may induce intense oral pain and eating disability requiring enteral or parenteral nutritional support. Thirty per cent of patients need to be hospitalized as a result and symptoms can force patients to stop treatment for an undefined period thus reducing treatment efficacy. Oral mucositis has currently no validated curative or preventive treatment. Validive® (clonidine Lauriad®) is developed for the treatment of severe oral mucositis induced by radiotherapy or chemotherapy in patients suffering from head and neck cancer. This is a new therapeutic application of clonidine based on the mucoadhesive technology Lauriad®. Clonidine stimulates the alpha-2 adrenergic receptors traditionally used to treat high blood pressure. It stimulates these receptors in the brain. 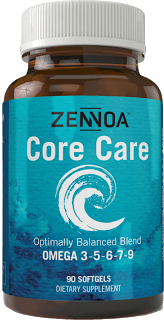 This leads to a decrease in peripheral resistance and thus a lowering of blood pressure, as well as a reduction in heart rate and renal vascular resistance. However, clonidine also acts as an agonist of the alpha-2 adrenergic receptors on leucocytes and macrophages, thereby decreasing the expression of the pro-inflammatory genes and the release of cytokines IL6, IL1β and TNFβ. This effect leads to a reduction in the pro-inflammatory mechanisms. It also acts on the anti-inflammatory mechanisms by increasing the release of TGF β. The final positive results of the Phase 2 clinical trial, comparing the efficacy and safety of Validive® versus placebo in the prevention of radio-chemotherapy induced severe oral mucositis in head and neck cancer patients, were presented in session poster at the 2015 annual ASCO meeting. They found that severe oral mucosits developed in fewer patients receiving Validive® than in patients receiving placebo, 45.3% and 60.0% respectively (p = 0.064). Furthermore, patients receiving Validive® who developed severe oral mucositis did so at a higher median radiation dose (60.0 Gy) compared to patients receiving placebo (48.0 Gy) (HR = 0.754; p = 0.211), indicating that Validive® prevents the onset of severe oral mucositis over a wider radiation dose range. Onxeo has the vision to become a global leader and pioneer in oncology, with a focus on orphan or rare cancers, through developing innovative therapeutic alternatives designed to "make the difference". The Onxeo team isdetermined to develop innovative medicines that provide patients with hope and significantly improve their lives. Greenville, SC (June 2015) - Imagine the scene of an all too often culinary crime. Arrangements have been made; the backyard is well prepared. A hot, seasoned grill, open bottles of wine and beer, and summer's bounty; ripe, sweet fruits, fresh vegetables, and a vast assortment of homemade pies on display. Unfortunately, when uninvited guests arrive, often in swarms, a summer party is ruined or worse. Troublesome fruit flies are an unwelcome addition to any party, as they are also known carriers of disease causing bacteria such as E.coli and other food borne illnesses. What is a good host supposed to do? Prevent a Fruit Fly Assault, Naturally. Aunt Fannie's FlyPunch! (www.auntfanniesco.com) is an effective, non-toxic fruit fly solution that is affordable, easy, and safe for use around food. As the end-of-summer harvest approaches, fruit fly infestations are likely to show up at barbeques, but also in home gardens and kitchens. Instead of reaching for outdated, harmful vapors or toxic pesticides, grab a jar of FlyPunch! Just set it near the flies, sit back, and watch it go to work. "Living in South Carolina has its perks, but summer fruit flies are definitely not one of them. 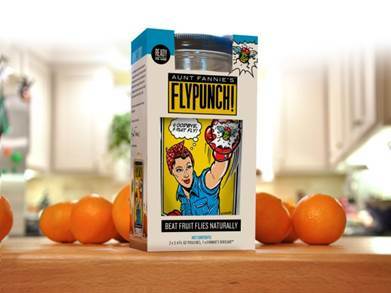 I wanted a fly-free kitchen, but wasn't comfortable using the toxic sprays and harmful pesticides commonly found on the shelves today, and so FlyPunch! was born," explains Aunt Fannie's CEO and founder, Mat Franken. "It's a fast, easy-to-use, effective solution to fruit flies, and most importantly safe around food." FlyPunch! comes in a 6oz. ready assembled Dive Jar that is affordably priced at $7.99. FlyPunch! is sold at most leading health food stores and available directly at: www.auntfanniesco.com/buy-flypunch/. Summer barbeques are special occasions when family and friends can gather for good food and should not be ruined by something so easily addressed as fruit flies. FlyPunch! provides an easy, fast, and non-toxic solution to protect the party from germ spreading pests without using dangerous chemicals, vapors or strips. Dig in and have fun! For more information about the benefits of FlyPunch! please visit: www.auntfanniesco.com. Aunt Fannie's, Inc., founded by Mat Franken in 2012, is the maker of FlyPunch!, a powerful, non-toxic, all-natural fruit fly pesticide that is fast, simple, honest and safe for use around food. Aunt Fannie's FlyPunch! is designed for household kitchens, food service and food distribution centers, restaurants, bars, hotels, cafeterias, breweries, wineries and anywhere fresh food or produce is handled, grown or prepared. Aunt Fannie's FlyPunch! is available at most health food retailers such as Whole Foods, Sprouts and Bristol Farms or can be ordered directly online through Amazon.com or the company's website, www.auntfannie.com. The company headquarters are located in Greenville, S.C. and FlyPunch! is made in America. "Aunt Fannie's can help you eat clean, truly."